Here, we’ve gone back to basics to get the hop and malt balance just right. An abundant malt bill provides a good body with complexity and a slight sweetness. A copious mixture of hops, originating from different countries, follows to deliver an almost botanical feel; delivering an earthy yet fresh taste with a subtle bitterness. 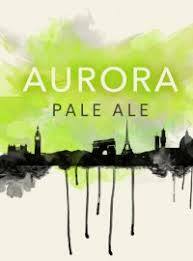 The equilibrium of hop and malt gives Aurora great flavour retention for a lingering hoppiness. Altogether, it’s a beautiful display and highly drinkable.